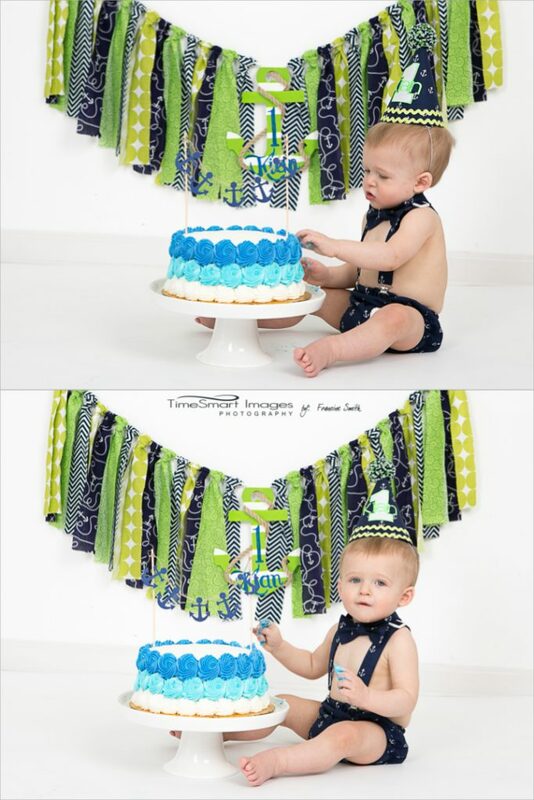 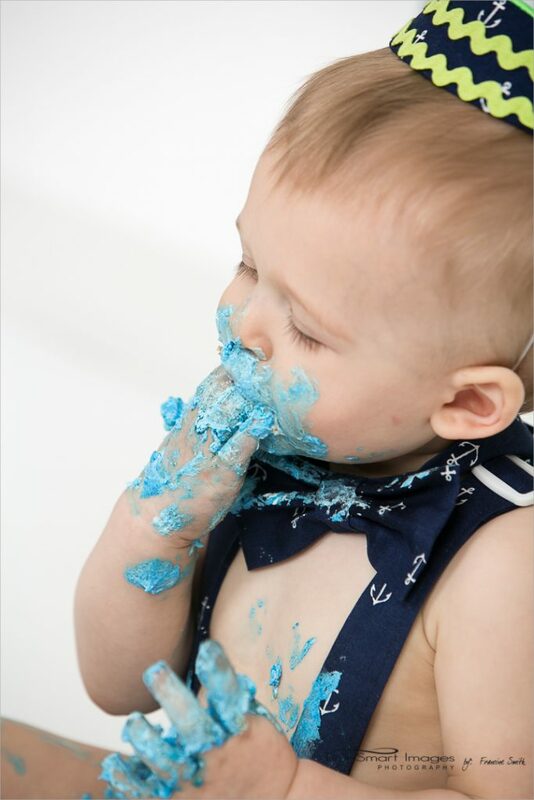 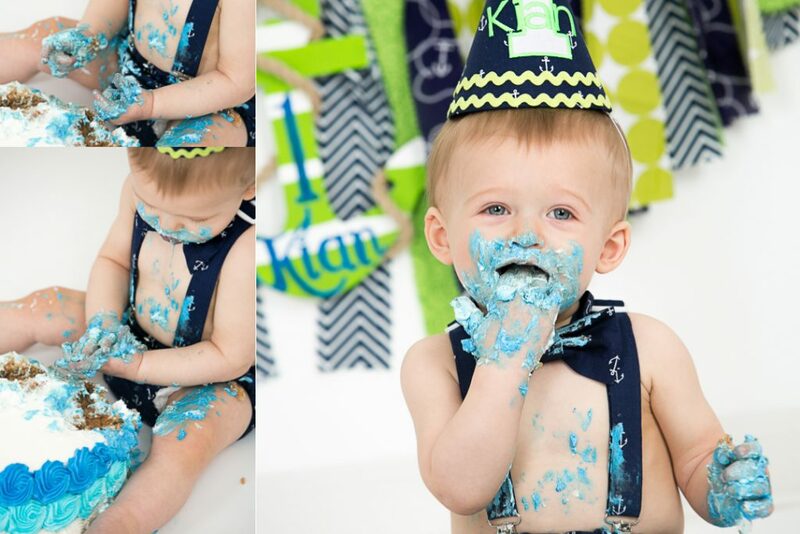 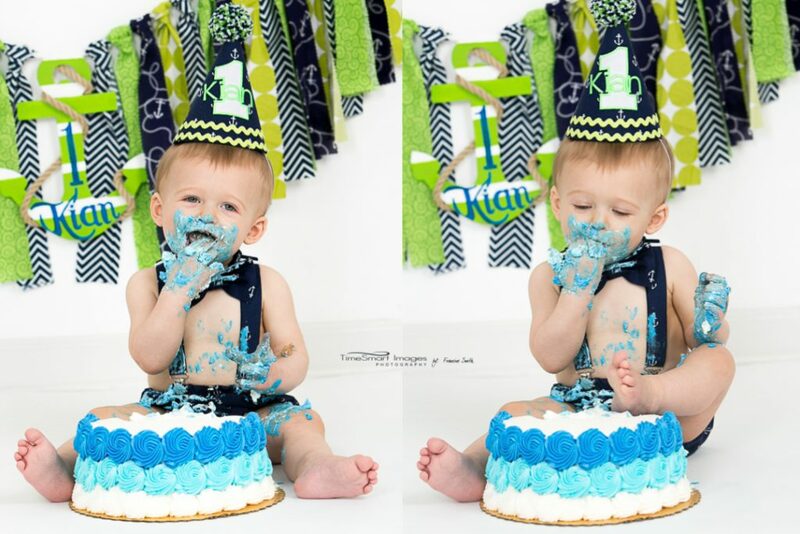 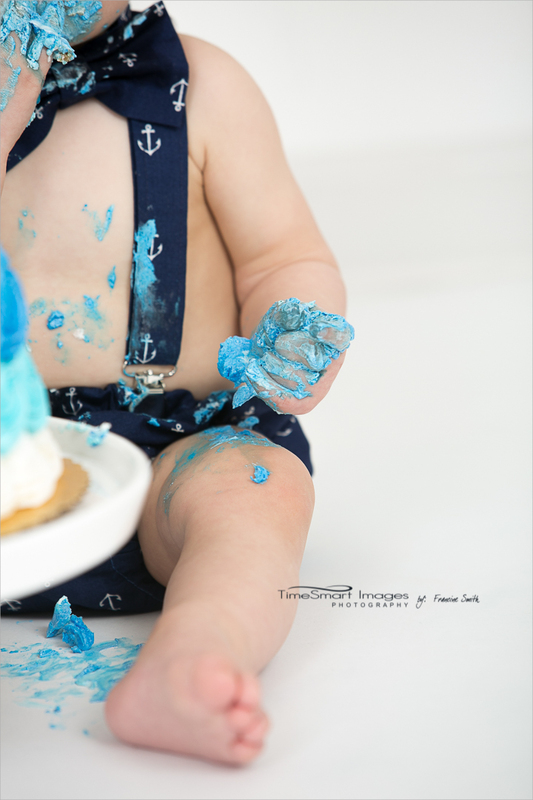 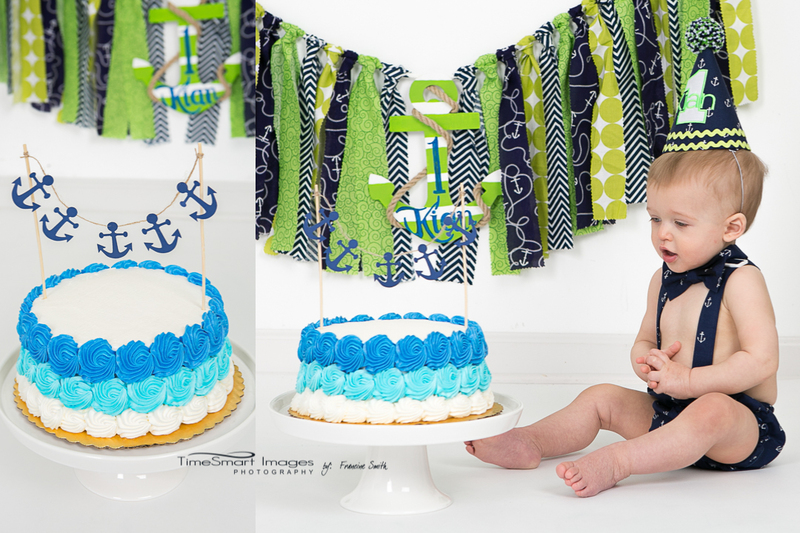 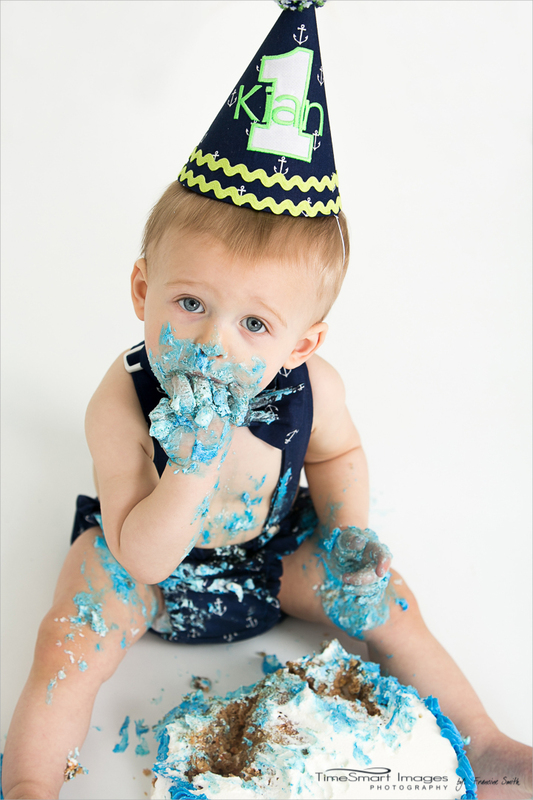 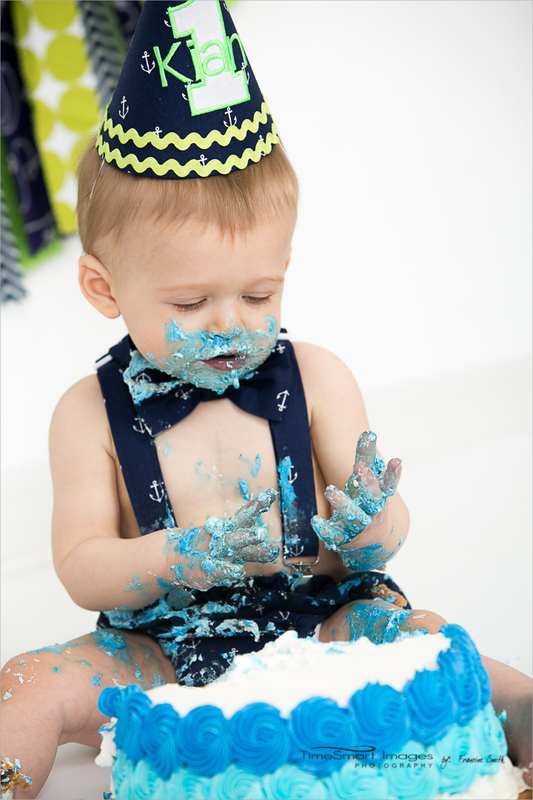 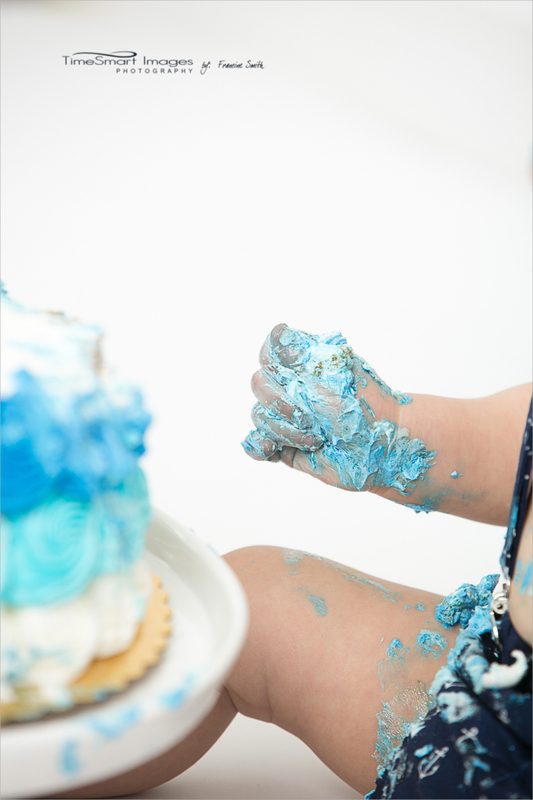 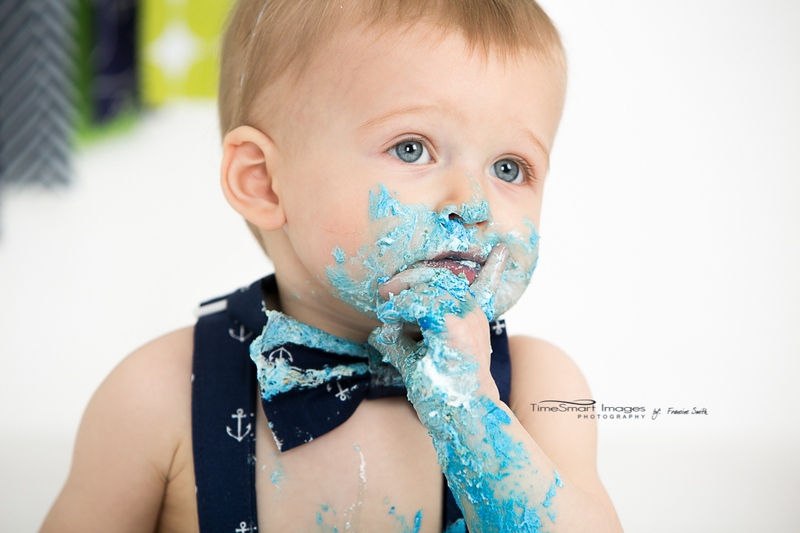 A few weeks ago I posted a peek of Kian’s Nautical 1st birthday portraits … his mom asked that I wait to post the actual cake smash till after his party — she ordered a large collage of his shoot to have on display and wanted it to be a surprise. 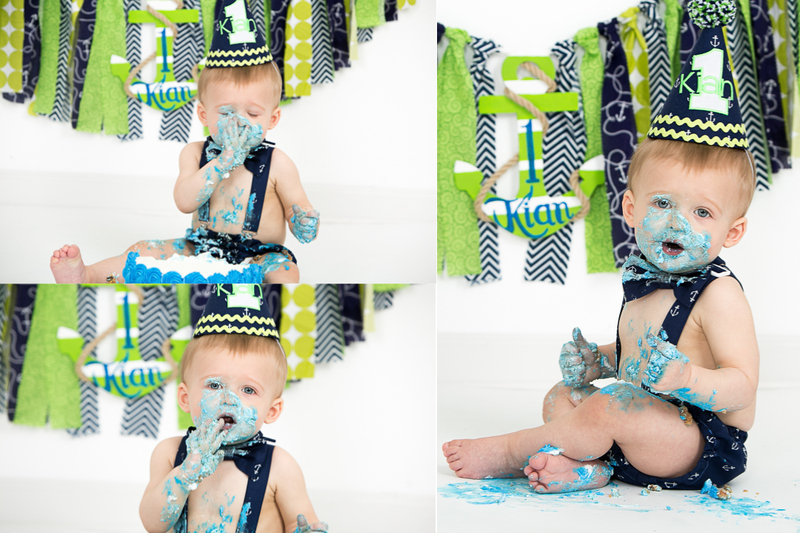 Double kudos to Ashley and her mom who made Kian’s birthday banner!!! 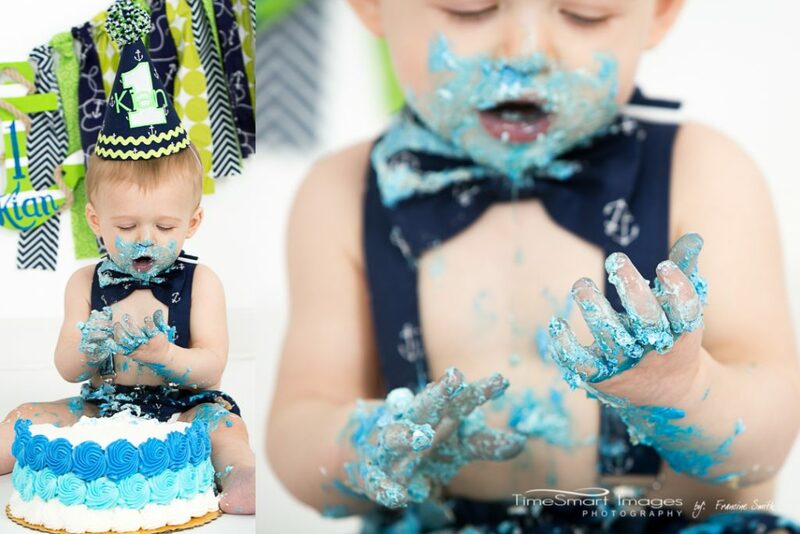 It looked awesome.